Silver Star is a family owned independent shop serving the Annapolis area since 1987. Founded, owned, and operated by Joe Hall, a Mercedes-Benz Master Technician, our emphasis is on customer service and fixing your BMW right the first time. We service and repair the latest model BMWs as well as the classics. We will advise you on the proper maintenance and repair of your BMW with the level of integrity you expect and will appreciate. I have always appreciated the fine service that Joe Hall and his team have provided me over the past 11 years. Thanks for all of the outstanding service that you have given me. 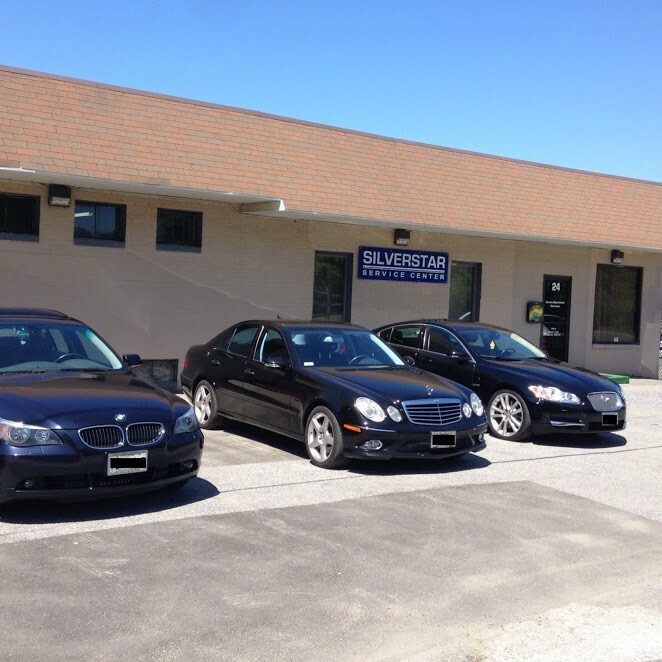 Silver Star is a professional auto service provider that I have been pleased with on numerous visits. The service staff is credible and committed to excellence. details and service considerations prior to performing work and confirming my satisfaction upon completion. Thank you, very much. I called Joseph at Silver Star Service Center on Thursday 7-12 because my BMW battery was dead. Joseph was at my house the next morning and replaced the battery test drove my car and reprogrammed everything. I can`t tell you how much I appreciate the great service not just this time but in all the years past. It`s nice to have a company that you can trust to service your car. Thanks Joseph. I had white smoke randomly coming from my BMW but no computer service error codes lighting up. I took it to my usual repair shop where I was told, "Some smoke is normal with this model after a while." I knew better than that, so I searched for another repair shop and came across some extraordinary reviews for Silver Star Service Center in Edgewater. It happened to be only 8 miles from my house. From the time I went in to set up an appointment, the staff, Walt and Joseph, were extremely attentive to my issues and very customer service friendly. The day I dropped my car off, before close of business, Walt had reached out to me three times, each time telling me about their findings, letting me know of what was causing the issue, what parts were needed and very fair pricing to repair. I was so appreciative of knowing what was found each step of the way. In 48 hours my car was repaired, tested, and cleaned, yes cleaned inside and out! They even provided me a courtesy shuttle ride from my home to their service center to pick up my car. I have a NEW repair shop for my BMW for life! I am even going back in the next couple of weeks for some engine belt maintenance. My car runs GREAT, no issues, and I can't say enough about my new service center. Highly recommended!! I have been taking my car here ever since my warranty expired. Actually brought it here right before the warranty expired and they noticed a transmission leak which eventually led to BMW replacing the transmission under warranty! They guys are always professional and do a thorough inspection of the car even when I just bring it in for tires. If you live anywhere near Annapolis and own a BMW I would definitely check these guys out. 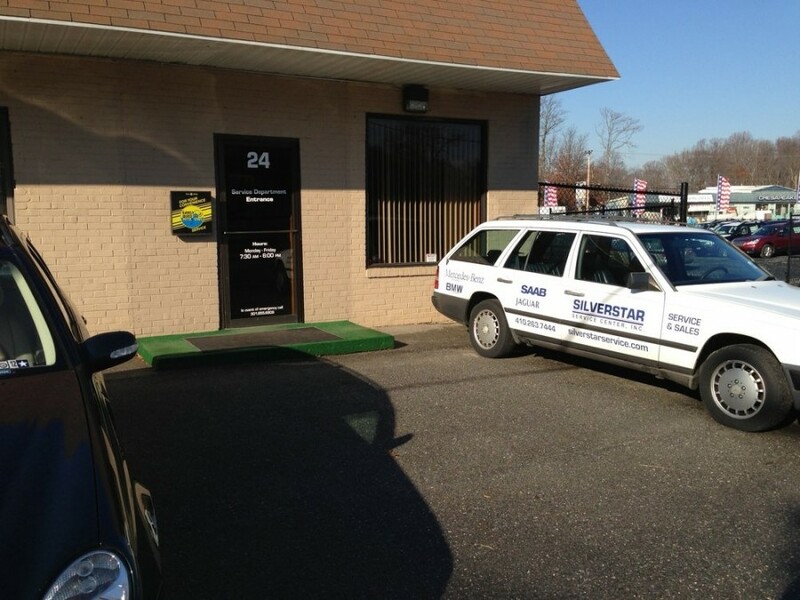 Silver Star Service Center is an honest shop that does quality work. They stand by their work and are willing and able to correct any problems that arise during the course of service. I would highly recommend them and plan to use them as my service center of choice in the future. Silver Star took such good care of my car. They offer a shuttle service at no charge and I think there prices were more than fair. My car has never run so well. I would recommend them to anyone. Silver star is been in business for a long time, These guys are so professional and they are fast to get the repairs done! I give them 5 star out of 5!!! I recommend them to all of my friends! Thank you silver Star for your great service! Silver Star is the best Indy shop in this area for BMWs - I have used them for years. They are very thorough when servicing your car, document everything perfectly, let you know what the next suggested maintenance will be and they never try to up-sell on repairs you don't need to maintain your BMW in tip top shape. The service writers, parts guy and mechanics are second to none. They are very professional and treat their customers with care. I highly recommend Silver Star for BMW repairs. This is a very professional organization in which I have complete faith. The explanation of the service and repairs process is presented clearly and with common sense, and services delivered on estimate. By contrast, the BMW of Annapolis (dealership) is neither up-front nor dependable, and always much more expensive. My unfortunate experiences with BMW of Annapolis have been numerous and I do not believe the needs of either the vehicle or the owner are met. Silver Start provides honest assessments and solid solutions at a fair price. Silver Star is the BMW owner's advocate! I have not recommended a repair shop in the last 15 years but that has changed. I can heartily recommend Silver Star. They had performed a routine repair for me once in the past and I had been happy with the job. This time, the experience was so positive that they are now my preferred repair shop for our three BMWs. I brought a 2003 325xi wagon to Silver Star for severe driveability problems that suddenly appeared and then largely disappeared. They carefully diagnosed and fixed the problem(s) quickly and at a fair price. Only what was diagnosed as broken was fixed, with no unnecessary parts replacements. Joseph listened to my description of the car’s problem(s), kept me informed in a timely fashion, and answered every question patiently and in detail. In the process of addressing the original complaint, another unrelated and less obvious problem was uncovered. The cause was the failure of two relatively expensive parts which, as it turned out, Silver Star had installed three years earlier. The parts were two years out of warranty, but it seemed to Joseph that they must have had a manufacturing defect. He convinced the supplier to provide replacements at no cost and split the associated labor costs with me. Certainly fair, as Silver Star installed the parts in good faith and the parts had failed significantly out of warranty. This experience showed me that Silver Start are not only competent, but honest, fair, and stand behind their work in the long term. I can recommend Silver Star without reservation. FWIW, Our family have owned BMWs since 1985. I have reasonable competence and the tools that have allowed me to maintain our cars over the years with few exceptions. I am now at a point were I am happy to “leave it to the pros,” but they need to meet my standards. Unfortunately, my limited experience with BMW dealer service has declined to where I can no longer recommend any dealer’s shop within 40 miles. I’m glad to know Silver Star is nearby. The service provided by Joseph Hall and the team at Silver Star is exceptional on all levels. My only regret is that I didn't know about them from the very beginning of my 330xi ownership as I would have dealt exclusively with them. I cannot recommend them highly enough - I trust them implicitly and they definitely exceeded my expectations. Additionally, they are a genuine pleasure to deal with. Definitely five stars! 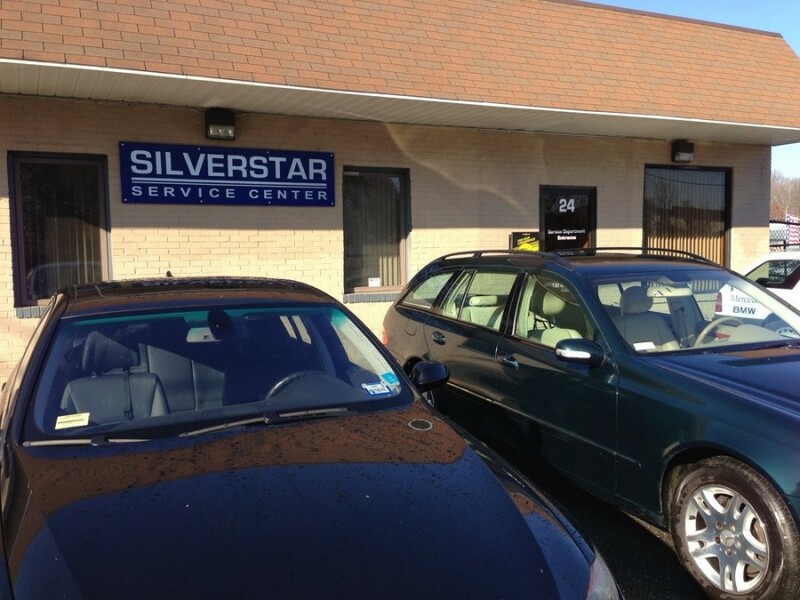 Silver Star Service Center is tops in its field. The service staff (Joseph, Tom) are beyond courteous as well super knowledgeable about whatever issue you are having with your vehicle. Most repairs are completed in 1 day and the cost is very reasonable. I trust Silver Star to analyze and repair my vehicle and I would highly recommend their services for whatever needs you may have. This shop gives great BMW service. Problems are properly diagnosed and repairs are completed on estimate. A great place to do business and avoid the high cost of dealerships. Service reps are great - friendly, courteous and attentive.